My pool guy and I stood outside one early morning last week, talking about politics and sustainability. (We manage a property next door with a pool.) The absurdity of this situation was not lost on me. There is just nothing sustainable about a swimming pool. Unless you turn it into a fish pond, like my friend Mary. Mary does her research, adding appropriate plants and sub-species, and in a few years that former unused swimming pool will yield many pounds of protein to feed her family. With or without society’s approval, she has made something productive out of what was a waste of resources in her back yard. Mike the pool guy and I agreed that in order to address the environmental challenges the earth and we face at the current time (dying corals were under discussion), what it will really take is not pontificating pundits and whatever they do, but US making uncomfortable choices every day. Changing the way we do business. How completely can you remove plastic from your life, for instance? Let’s say just plastic trash bags. If you don’t use plastic trash bags, what do you use? How do you manage garbage? Shopping bags are much easier. If you use cloth diapers or menstrual pads, which I have found superior to for the users’ skin, you use a lot of water to clean up. Caring for a special needs young adult I use a great deal of water anyway – and I feel like it’s easier to clean water than to find a home for garbage that won’t ever break down. But maybe this will not always be the case – in a well-run trash-to-power incineration process for example. Then Mike went on to clean more pools, and I went inside to eat breakfast made up of food trucked in from miles and miles away. But not all of it. Trucked, I mean. I am working on that. The Simons Gardens are having a good year so far. The sugar snap peas are producing crunchy deliciousness, thanks to the extended cool weather and rain that is otherwise driving us crazy. And we have never harvested lettuce and kale like this before, though I sure hope to again. Shaken, layered with cloth or paper towel and boxed or bagged in fridge. Yum! We suburbanites truly can grow a portion of our own food on our 1/4 acre lots. A box of salad greens costs $5-6, and is often partly rotten, since it is trucked from distant California, subsidized by your tax dollars. We can do better – we can eat better. But whether we choose to do so or not depends on so many factors in our crazy busy suburban lives – mostly whether we love to do so or not. Ya gotta wanna, as they say. I say the sour cherries are “rolling in,” but it is fairer to say that I am stealing them from the birds and mold who are trying to eat them up ahead of me. I got out there each morning last week, sometimes up in the dewy leaves on my ladder, picking for 20 minutes. I pitted them pretty quickly (thanks to with the wonderful German cherry pitting tool my son Scott gave me years ago) and I froze 5 Ziploc-ed quarts so far – best ever! Graduation cherry pie on the way? But I last year I missed the cherry harvest altogether – and the black raspberries too. Before I knew it the trees were stripped and those harvests gone. But I wanna! So this year I am attuned to the early signs. I know to change my schedule, and to pick a little every day. The birds and the Maryland mold don’t wait around to give me my turn. The movements of nature will also not wait for us to figure out how to do things better – nature will work as she her laws dictate. And do what she has always done. It’s up to us to work in accord. Winter Garlic heads cure in the sunshine. The morning after I studied the Food Pyramid in the doctor’s office, I spent an exhausted day in bed. After a couple of nights of brutally interrupted sleep I had to crash. While in bed I read up on Sharon Stronger and her family, and their sustainable life in Texas. Sharon writes the blog Nourishing Days. Her posts are very real (gritty) and also pretty unreal, in the sense that I do not believe they represent a large-scale solution to the question “how to live sustainably.” Returning to the land as the Strongers have done it is not a model for many modern families – although a fun read. Reading about their sustainable off-grid adventures satisfies my life-long fantasy about “living off the land.” As a third grader, I tried making jam from berry pickings without a recipe or any knowledge. As a starry-eyed 12 year old I pitched my mom on the value of getting a chicken in our back yard, only to be wearily rebuffed. As a young woman I made crazy claims about having a wood stove before I would ever own a microwave. What Sharon is doing is what I thought I always wanted to do. And Nourishing Days is a pretty popular blog, so there must be plenty of others harboring those kind of dreams. Still, modern America is not about to climb off the grid. There are too many real advantages to what electrical power brings. Life on the grid has made possible huge advances in science, medicine, and the arts – literature, theater, music – and farming! In order to live sustainably, Sharon and Stewart Stronger spend all day long, every day, cooking or growing food with their cute kids — or harvesting food — or hunting for food (or water) —or putting up food for later use. Yikes. I realized as I read along that I just couldn’t do this. True she also writes blog posts and takes photos, and posts them online. But this life wouldn’t be enough to sustain my spirit. Maybe for me, living sustainably means something completely different – or includes something more: sustaining my artist self in the face of constant demands from every quarter to do something else. IS THERE a way to grow some of you own food as a part of modern suburban life, without renouncing the world, taking on a vow of poverty, or adopting a full blown alternative lifestyle?? This is the question that I have explored for a decade or so now, that still captures my imagination, and is the subject of this blog. I write for all of us who love their day jobs, and running water, and cell phone texting, those like myself whose burdens of care make them reliant ont the machines that do our work – like my wonderful huge washer – but who also feel the call of the soil. Paying big dollars for organic green peppers from California or Mexico doesn’t make sense when delicious organic peppers grow just great in my own east coast yard, for pennies each. Nor does it make sense to me to pay $6-7 a dozen for organic eggs that don’t taste that great – not even half as good as the eggs from chickens that roam my lawn eating ticks [oh yeah, and savaging baby plants and kicking the mulch off the beds…]. I want to grow some of my own food, I thought, but I don’t want to be consumed by that job. I love the goals of food and energy independence, but also love being part of a larger system of growers whose focused hard work sustains my life. If being “sustainable” means me hand washing all Owen’s bedding in a tub of water each morning…aaacckkk! But thinking of sustainable leads me to kale. Naturally. Kale, the ugly duckling of health foods! Here is a plant that is highly nutritious and pretty easy to grow (as long as you keep the bunnies off it) [and chickens] for many months of the year in my climate, particularly if you have a greenhouse structure to extend the season – and tadum!! we do now! Nowadays, we use kale at breakfast, sautéd with our bacon and eggs and butter in place of toast. (It’s delicious, as long as you don’t expect it to taste like toast.) Sometimes we throw it in soups or sauces. Sautéed greens and onions make a great side dish at dinner too. The point is that growing dark greens and lettuce is feasible, time-wise and space wise, and it’s feasible money wise considering an organically grown bunch costs $3, and so does a tray of seedlings. Well – feasible money wise if it works. [If I beat the bunnies and chickens to it…] Check back next fall. To live sustainably – to sustain all the things that need sustaining – is a balancing act. For Sharon Stronger, leaving the grid behind and adopting a slower paced kid-centered life has meant mental health. For me something a bit different is required. But like so many other subjects, “sustainability” is a nuanced, many layered topic once you get into it, and a conversation worth having. This is a blog about gardening, growing you own food in a suburban setting. Creating your own food stream. Today we spend a minute or two on the why of gardening, on the larger picture of what we eat, and why, and who says so. It’s all my pediatrician’s fault. I sat in the pediatrician’s office this week with one of my kids who was getting a physical, looking at the Food Pyramid he has posted on the back of his examination room door. To educate growing minds, presumably, about how to be healthy, be strong, and live long. Sigh. In every other way my pediatrician is such a brilliant guy. The first problem I have with Food Pyramid is that in every version the whole bottom layer, the widest layer, indicating “eat the MOST of this!” is made up of carbohydrates, a completely unnecessary food source. (The body can make glucose from fat, and fat from glucose. Check it out for your self about carbohydrates ) Don’t get me wrong – carbohydrates taste yummy. I love them. Many people can digest starchy veggies like carrots and even potatoes ok without triggering an huge insulin problem. And some number of people can eat the various grass seed heads that become bread, pasta, cakes, cookies without any ill effects. Good for them. But alas, even though I am not celiac, and am otherwise pretty healthy, meaning that I am not overweight, nor dealing with diabetes, nor dealing with ADD or ADHD, and have none of the auto-immune diseases so common today, I cannot eat grain-based foods without getting sick. This is just from being intolerant. What does that mean? Although I love to lie to myself about it, grains trigger a host of symptoms, particularly when mixed with sugar, as in pies, breads, bagels, cakes, crackers, doughnuts, pasta etc,etc. Instantly, itchy bumps form at my hairline and behind my ears, in my eyebrows. My ear canals itch and crack open and ooze liquid stuff. I can get away with a little cheating – I am not celiac – but if I persist in eating grain based foods for long enough, allergies, colds, and ear infections follow. If I just have a little bit, I only risk increasing my interest in them – and it is so hard to turn off the carbohydrate machine, once he is aroused. By now it should be obvious that I have a very crummy digestive system. You may be wondering, what does work, Wystan? Thanks to the support of my sister Ann (also on a quest for her health), I have discovered some wonderful things. The broth of bones cooked for 24 or more hours, with carrots, onions, garlic, celery, mushrooms, and some meat cubes makes such a delicious stew. Chicken bones cooked overnight, allowed to cool, and then reheated for another day release amazing things from their marrows for a fabulous healing chicken vegetable soup. Awesome with curry!! Bacon fried up with onions and any kind of greens (kales, mustard greens, collards – each has it’s unique texture and flavor) are nourishing for hours. Greens steamed a minute and touched with butter are delicious, if you find you don’t want bacon. Brussels sprouts chopped are also delicious sauteed with butter or a slice of bacon chopped up with onions. Then there’s fermented foods: one head of chopped Cabbage, pounded with sea salt, stuffed into a mason jar and left alone for four days in the dark makes amazing, buttery sauerkraut. It’s alive with probiotics, and chases away colds, it’s true, but I eat it because it tastes so – yum- well, I don’t know anything that tastes quite like it! Wonderful! Especially if you add some fresh ginger and red pepper flakes. Vegetables are dah BOMB. But as with any source of food, you need to know how to work magic on the raw ingredients. Years before we began to fry Kale up with butter or bacon and onions, kale I bought would wither in my fridge. It looked so – ugh. Dull. Scratchy! How was I gonna put that weird stuff in my mouth?? Yuk. But steamed in a little water, and touched with butter, and your tongue AND your body tell me YES! You want this stuff! There is a reason people eat have eaten collards with the ham bone or a piece of fat back for hundreds of years. This season, I am going to do my best to put my garden where my mouth is – increasing the rows of kale in my garden by about 100%. 🙂 (Like I said, we didn’t use to like kale much.) The temporary greenhouse that we have struggled to finish (it’s getting there!) will be temporary only in the sense that the plastic walls and roof can be rolled up part of the year. It will be a permanent part of growing. 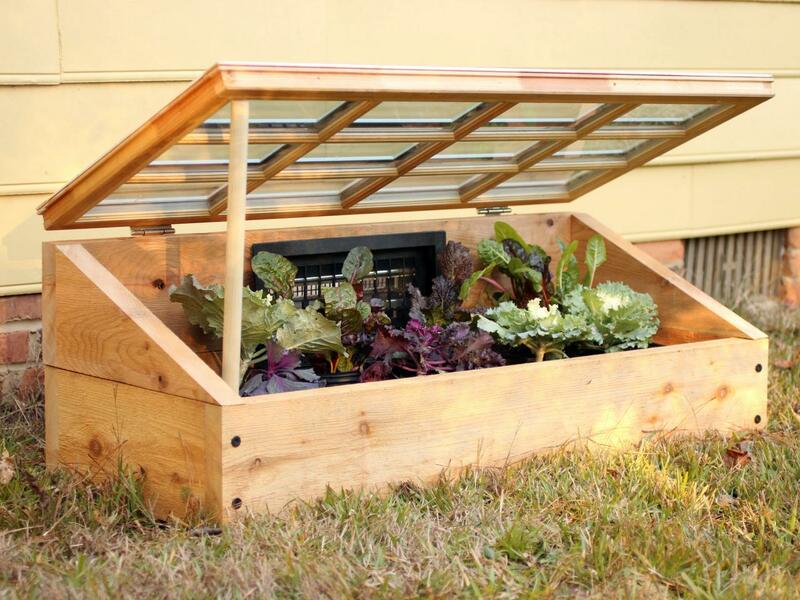 In terms of “growing my own” there is nothing we eat more of right now than salads and dark green vegetables, and this simple structure should allow us to keep growing our own well into winter. We’ll see! Always so much to learn – whether it’s tuning in to your body’s messages, or tuning in to what nature has to teach you outside it. When choosing your seeds, listen to what you love to eat, and listen to what your soil and climate want to grow. It’s always a dance. But as for what the FDA’s Food Pyramid knows that can help you – fahgeddaboutit.